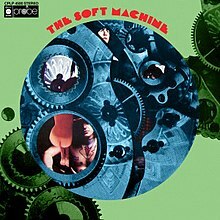 SOFT MACHINE: SOFT MACHINE: 1968: 3 1/2 STARS OUT OF 5 STARS: First time I’ve heard this album- grade could change. Favorite song on first listen- Why Are We Sleeping? 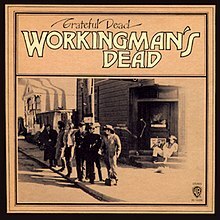 THE GRATEFUL DEAD: WORKINGMAN’S DEAD: 1971: 4 1/2 STARS OUT OF 5 STARS: The Dead released their two best studio albums in 1971- this came out first. It opens with my favorite Dead song by far- Uncle John’s Band- another classic is at the end- Casey Jones. Other favorites- Dire Wolf and High Time. JOHN FOGERTY: WROTE A SONG FOR EVERYONE: 2013: 3 STARS OUT OF 5 STARS: Fogerty with guests on each remake of his classic songs. Was it really necessary? He sounds like he was having a lot of fun but he didn’t need any help- he already has recorded the classic versions of each song. ← IT WAS FIFTY YEARS AGO TODAY- THURSDAY JUNE 6, 1968- SENATOR ROBERT FRANCIS KENNEDY DIES AT AGE 42. The Soft Machine is a group I’m slowly trying to get into. In listening to these 1968 albums just listened to Laura Nyro- Eli and the thirteenth confession–and really enjoyed it- need to go back and give soft machine more listens.